Collect, Then Donate Your Hy-Vee Receipts! This program is simple and based on the collection of Brookings Hy-Vee receipts. Just save your receipts and turn them in to the Brookings Regional Humane Society. For every $150,000 in receipts that we submit to Hy-Vee, they give us a check for $1,000! Start saving your receipts today and drop them off at the BRHS! P.S. Remember that Hy-Vee Pharmacy and Hy-Vee Gas receipts count, too! Please note that this applies only to Brookings Hy-Vee receipts. 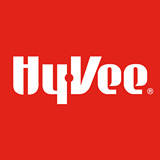 Thank you, Hy-Vee, and all of our receipt donors!